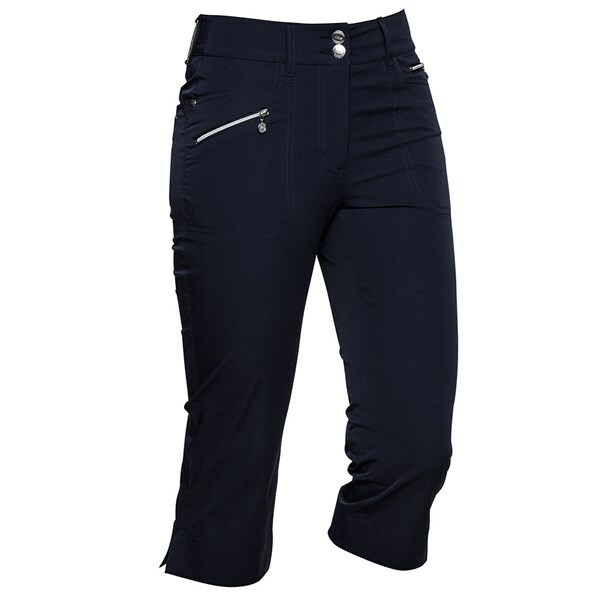 These are quality capri trousers with a flattering fit and useful functional pockets. 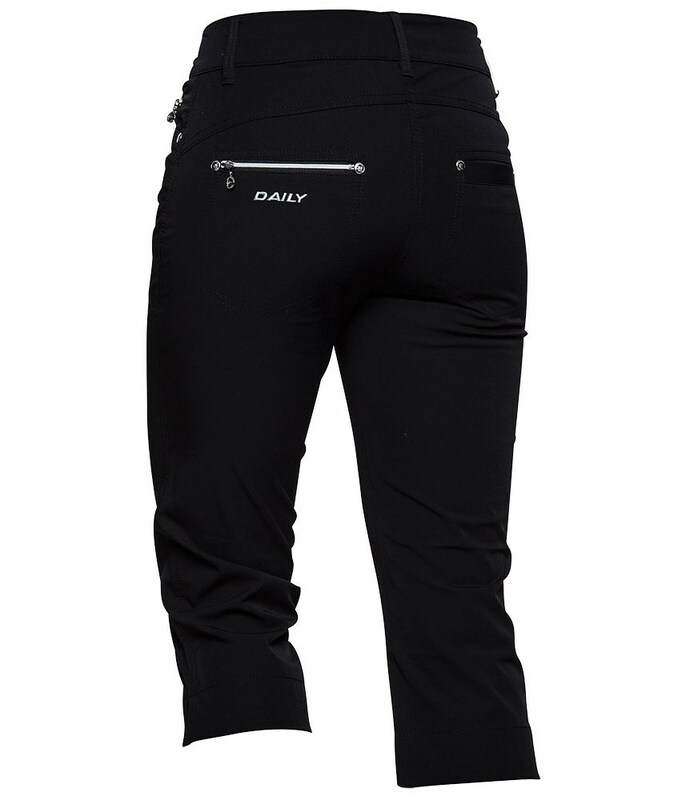 They are a very dark navy if you are looking to match them up, with a team jumper for example. 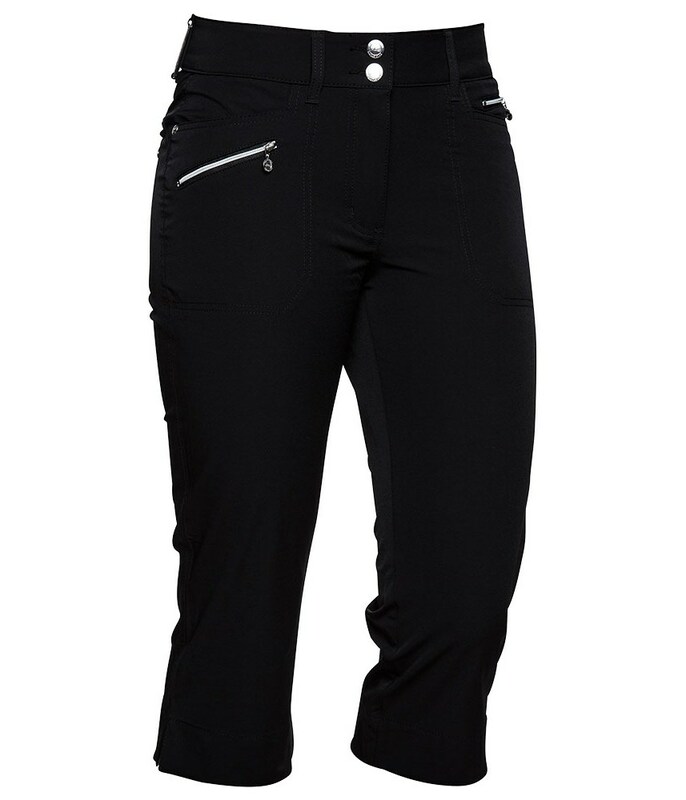 Look and feel fantastic on the golf course this summer with the flattering Daily Sports Ladies Miracle Water Capri trousers. Made from a nylon / spandex construction that will give you the ultimate pro stretch needed to enhance your mobility and provide extreme comfort. 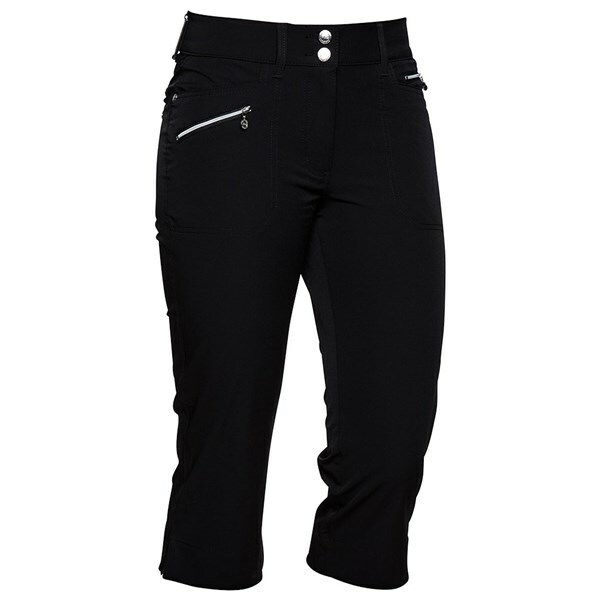 The combination of zippered pockets and double button closure provides an excellent detailing that will stand this Capri out from the rest.